Formula 1 will follow a path of some other motorsport series by replacing grid girls with the Grid Kids, announced FIA today. A few days ago it was decided that grid girls will no longer fulfill the pre-race ceremony at the Formula 1 Grand Prix events and now the new solution has been introduced. FIA announced that the Grid Kids joint initiative will involve the local Grand Prix promoters working alongside ASNs (the FIA-recognised national sporting authorities) who will provide a unique opportunity to youngsters and their families to be part of Formula One events. The youngsters from karting or junior formula competitions will be chosen by their motorsport clubs on merit, or by lottery. 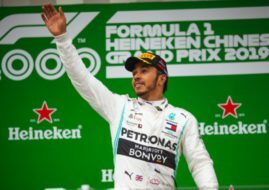 The lucky few will then be able to accompany and stand alongside the twenty Formula 1 drivers on the grid as they prepare for the race. The Grid Kids will be chosen at every Formula 1 race, and where possible, also for the major feeder series like F2 and GP3. “Formula 1 is the pinnacle of motor sport and the dream of every young racer competing the junior series that make up the FIA’s single-seater pyramid, from karting all the way to F1. We are therefore delighted to bring that dream a little closer by giving the future champions of our sport the opportunity to stand alongside their heroes on the grid in the build-up to the race start. For the wider FIA, this is an excellent initiative that provides additional support to our member ASNs in their efforts to grow motorsport worldwide through a unique reward they can make available to youngsters participating in their national series,” FIA President Jean Todt said.